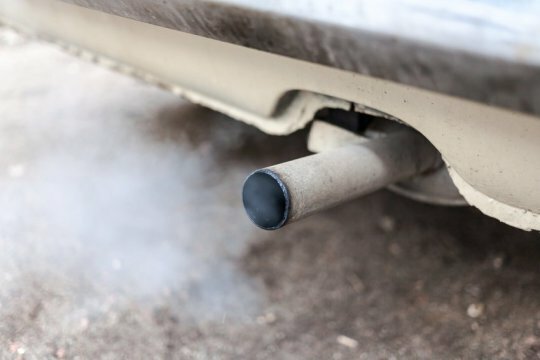 Beginning in 2008, Volkswagen installed software to circumvent emissions testing by turning off the nitrogen oxides (NOx) emissions control system in real-world driving in nearly half a million cars. A new analysis using a tool developed and used by the U.S. Environmental Protection Agency to assess the health and economic impacts related to air quality calculates that a single year of elevated emissions from the affected VW vehicles could lead to as many as 50 premature deaths, 3,000 lost workdays, and $423 million in economic costs. The analysis was led by scientists at Columbia University's Mailman School of Public Health and Northwestern University Feinberg School of Medicine. Results appear in the International Journal of Environmental Research and Public Policy. "It is well established in scientific literature that nitrogen oxides contribute to respiratory and cardiovascular disease leading to disability and death," says first author Lifang Hou, MD, PhD, associate professor of Preventive Medicine at Northwestern. The researchers used the EPA's Co-Benefits Risk Assessment Model (COBRA), a peer-reviewed tool, to estimate the costs and benefits of air quality. The model derives changes of ambient fine particulate matter (PM) concentrations related to NOx emissions then uses PM levels to estimate health and economic costs. The approach is similar to what the EPA uses for regulatory impact analysis. The study outlines three scenarios (best, midpoint, and worse) for several specific health outcomes such as asthma exacerbations (154; 407; 660), as well as hospital admissions related to respiratory and cardiovascular disease (3; 9; 14) and days of work lost (687; 1,816; 2,947). For each category, the researchers report the related economic costs. Premature deaths accounted for the bulk of costs, ranging from $42 million when the researchers assumed a relatively lower risk and best-case scenario to $418 million for a higher risk assumption and worst-case scenario. The effect of non-compliant VW emissions is almost certainly substantially worse than their estimates for several reasons, the study's authors say. First, the analysis only accounts for a single year of added emissions when most of the vehicles have been on the road for multiple years; secondly, the researchers looked at emissions from the approximately 482,000 cars using 2.0-liter diesel engines, not additional non-compliant cars with 3.0-liter diesel engines, nor the approximately 800,000 additional diesel and gas vehicles with underreported carbon dioxide emissions; lately, they put aside the established link between NOx and ozone, a known health risk and greenhouse gas. On June 28, VW agreed to pay as much $14.7 in a civil accord with most of the funds dedicated to taking the affected cars off the road or retrofitting them. From these funds, $2.7 billion is set aside for environmental cleanup and $2.0 billion, for initiatives promoting the use of zero-emission vehicles in the U.S. In addition, the company is facing criminal charges and civil penalties related to violations of the Clean Air Act. "Emissions of nitrogen oxides from these vehicles were as much as 40 times higher than the EPA standard, adding up to 15,000 metric tons of these chemicals into the air we breath every year," says Andrea Baccarelli, MD, PhD, Chair and Leon Hess Professor of Environmental Health Sciences at Columbia's Mailman School. "It's crucial that Americans and the government officials they serve know the extent of the damage done to public health and the economy." The above post is reprinted from materials provided by Columbia University Medical Center. Note: Content may be edited for style and length.